Creativity, enthusiasm, and camp spirit are the ingredients to our amazing special events at Camp Burgess & Hayward. Although the themes and structures are always adapting, these diverse activities always facilitate fun and friendship. Here are some session highlights that are guaranteed to be unique, exciting and something to remember for years to come! 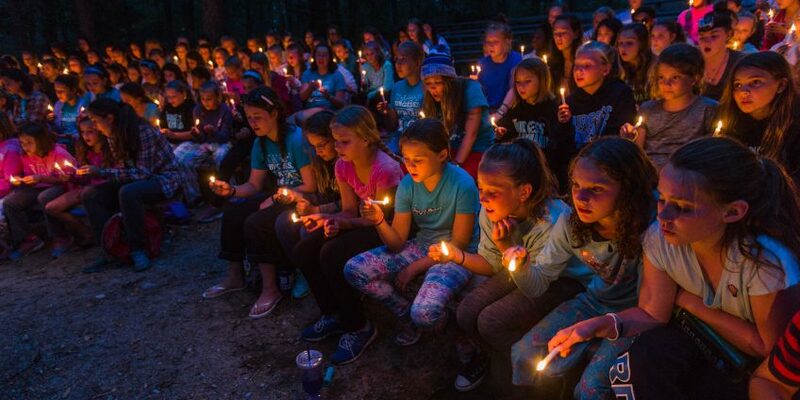 At our ceremonial campfires, cabins have the opportunity to perform songs and skits. 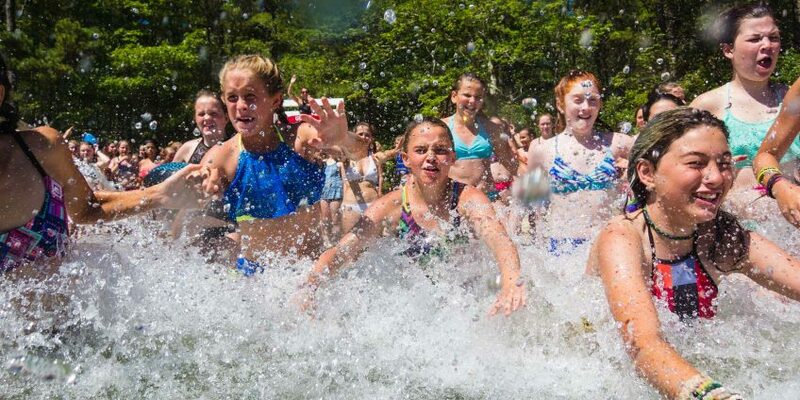 Both camps come together for carnivals, Hawaiian luaus, olympic days, music festivals, and team challenges. These events vary session-to-session, with special events happening during particular sessions. Session 3 hosts our annual concert put on by campers and staff in the music, dance, drama, and singing interest groups- Another Lakeside Attraction (ALA). During session 4, we hold our color war, Mariners & Pioneers, which includes three days of red and blue-themed competitions and events, ending in a barbecue. A night of music and dress up themes like pirates, color splash, Wild West, and superheroes! Cabins venture to a serene campsite around our pond. Appreciating the surrounding environment, we cook over the open fire, grow as a cabin and sleep out under the stars! Waterfront games and music highlight the fun as everyone spends the summer afternoon splashing in Spectacle Pond. Camp wide competition and celebration are focused on with camouflage games, lip-synching competitions, and sports tournaments.